We're sharing our love for music by creating the first-ever student-led orchestra at PHA. We’re fundraising to create a student-led orchestra at Prospect Hill Academy and to infuse a love for music at our school. Currently, there is no instrument program at our school — but we want to change that. Our orchestra plans to meet once a week as a whole group and once a week in smaller sections divided by instrument. Rachel, with the help of Daryl, will be leading the violins, Mr. Lavelle will be leading the violas, and another teacher will be leading the cellos. At first, we hope to start with 10-15 orchestra members. However, in the future we hope to grow the orchestra as more people become interested in music and string instruments. At the end of the school year we plan on having a public concert for our school and our supporters. The specific date will be determined if we’re successfully funded. All of us on this team have a love for music and want to spread it in our community so others can learn to love it as well. Musicians, such as Lindsey Stirling, serve as sources of inspiration for us. When we entered PHA, we realized that our school needed an orchestra. While there’s an orchestra program for the younger grades, once people enter the Upper School, they cannot continue playing music at school. This stops any dreams for music that people may have had. By creating this orchestra, we’re allowing them to continue their passion for music as well as enabling new people to discover their love for music. We’ve gone around the school and created a list of people interested in joining the school orchestra. We wrote down their name, grade and instrument of interest. If we’re able to fundraise the money we need, we’ll get back to them and figure out what specific day after school we’d be able to rehearse. Once we’ve figured that out, we’ll be launching the first ever orchestra at Prospect Hill Academy! In addition, we’ve reached out to teachers and school administrators about our project. Our Vice Principal, Ms. Bowman, is an advocate for our project and will be helping us get the word out about our orchestra. Our Enrichment and Community Outreach Coordinator, Michael Moretti, is also a supporter of our endeavor. 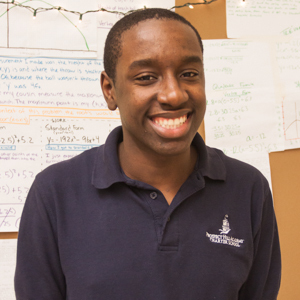 Mr. Lavelle is currently the Physics teacher at Prospect Hill Academy Charter school. Additionally, Mr. Lavelle has a lot of experience with music: he has played violin and viola for over 15 years and performs regularly in the greater Boston area. He has also toured Europe on various occasions and performed with a number of ensembles. He is looking forward to combining his two passion of music and teaching in PHA’s new orchestra. 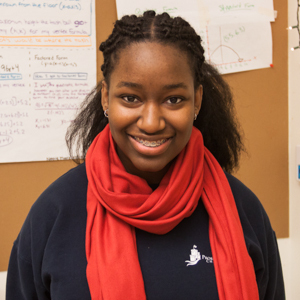 Rachel Nere is a sophomore at Prospect Hill Academy. She has been playing violin for 6-7 years and occasionally plays some piano as well. She loves to practice music, read, write, and study astronomy. In college, Rachel plans on double majoring in Astronomy and Music so that she can further her love for science and the arts. Daryl Cabrol is a sophomore at Prospect Hill Academy. In 6th grade he started playing the violin and is excited to continue playing as a part of the PHA Orchestra. In his spare time, Daryl loves to listen to music and read adventure books. In college, Daryl plans to study economics and music. The money will be used to rent up to 15 instruments — including insurance costs — between February and the end of the school year in June. This would be a trial run of the orchestra program and if successful, we’ll hopefully be able to continue it next school year. Sponsr.Us, Inc. is a 501(c)(3) tax-exempt non-profit organization. All donations made through Sponsr.Us are fully tax-deductible. For your protection, the identity of this website is verified by Thawte and your connection is encrypted with SSL. © 2011-2017 Sponsr.Us, Inc. All rights reserved.